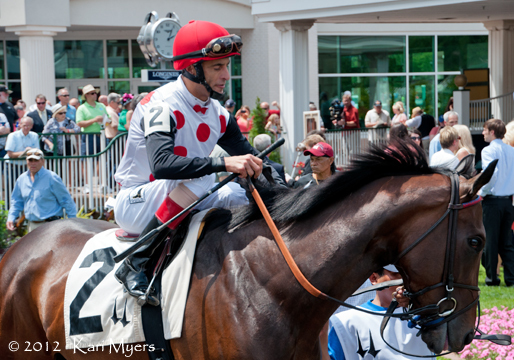 Bouquet Booth, a lovely daughter of Flower Alley out of the mare Toll Order, is shown here on the undercard of the 2012 Kentucky Oaks at Churchill Downs. 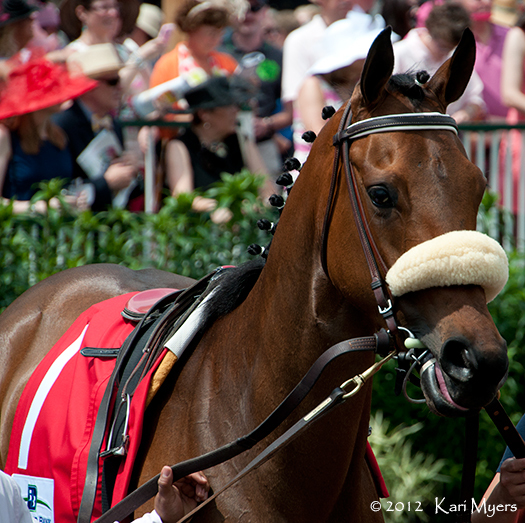 She was 5th to Plum Pretty in the 2011 Kentucky Oaks. 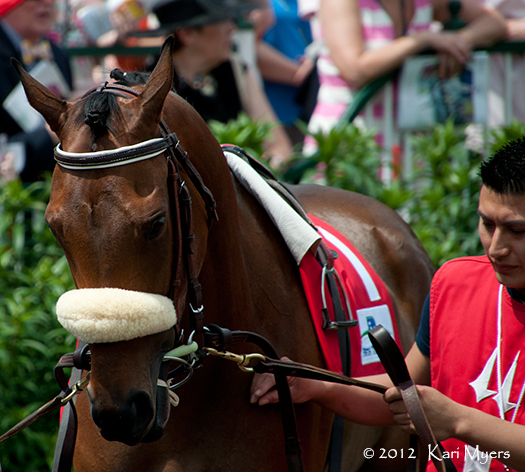 May 4, 2012: Bouquet Booth in the paddock at Churchill Downs. May 4, 2012: Bouquet Booth with John Velazquez up. 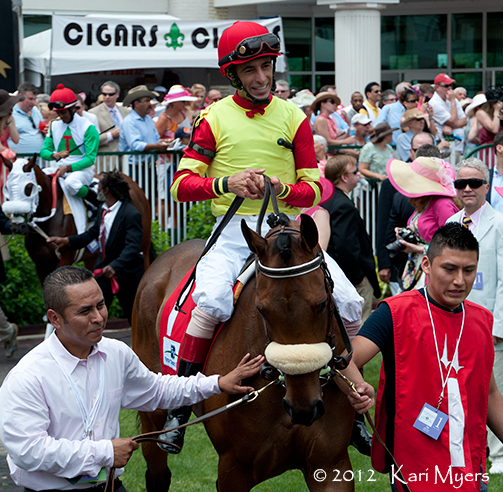 May 3, 2012: Onepointhreekarats and John Velazquez head out of the Churchill Downs paddock to win a maiden special weight the day before the Kentucky Oaks. It’s a lot of fun to watch maiden races, because you never know which horses might be on the verge of making a name for themselves. Graham Motion trains this lovely Medaglia d’Oro mare, Onepointhreekarats. She’s owned by Live Oak Plantation and ridden here by John Velazquez. I’m not sure what kept her away from the races until she was four, but she won this particular maiden special weight on the turf by two lengths and has since gone on to become a multiple stakes winner.